We currently use Paypal, but will be looking at other ways of allowing you to donate. This account has been set up to allow you to contribute to the running costs of the No Tesco/Boycott Tesco campaign, and to explore alternative possibilities of food delivery. We’ve set up a special account to help finance activities relating to the No Tesco in Stokes Croft campaign. 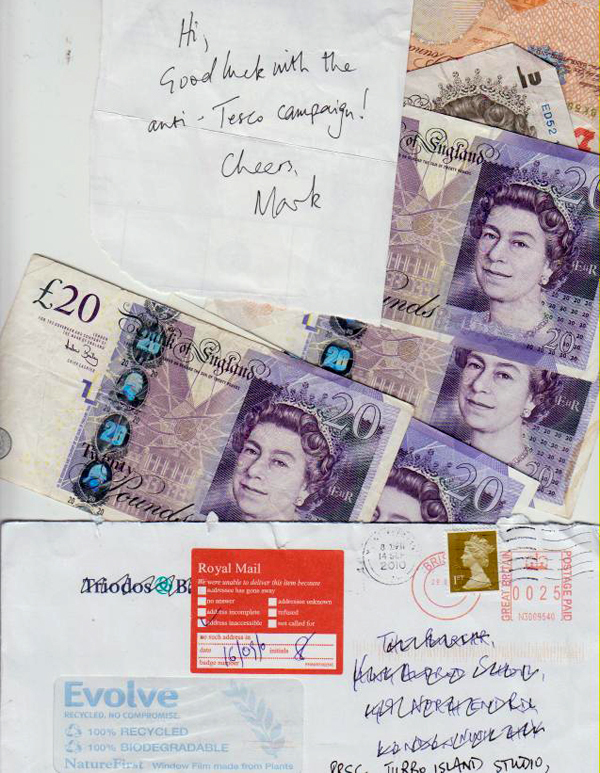 Any donations you can make will go towards materials that help people respond to the council’s consultation, understand and debate the issues, and protest against Tesco opening a shop in Stokes Croft. The campaign is entirely run by volunteers. Please make sure that you quote the “NOTESCO” reference. This is very important – without this reference there may be a delay in your donation being credited to the campaign’s account.